Materials we can machine: metal like aluminum, stainless steel, brass, copper, mild steel, kovar, titanium etc and plastic like Nylon, POM (delrin), peek, acrylic, etc are all available. Process we can handle: cnc turning(and lathe machining), cnc milling(and mill machining), precision grinding, wire-edm cutting, reaming, tapping, stamping etc. Inspection: 100% inspection of dimensions with tolerance by caliper, micrometer, height gauge, projector, CMM, and other test equipments like hardness tester, roughness tester, film thickness tester, plug and thread gauges, etc. 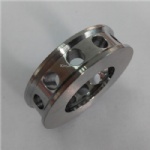 On-time delivery and small quantity orders or prototype cnc machining is welcome. 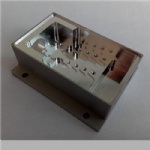 The capabilities of our CNC machine shop that enable our legacy of precision manufacturing custom cnc machined parts with highly accuracy as per your design drawings(mostly small and micro machining parts, and some large machining parts). 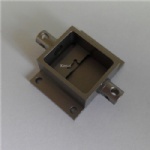 We also do assembly, fixture engineering design and fabrication for customers’convenience. 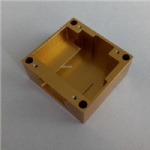 Most of the machined parts we supply are applied to test instruments, fiber optic telecommunication system, special tailor made automation machines, aerospace, automotives, printers, laser equipments, medical devices, electronic components, etc including general turned or milled parts and high precision and complicated machined parts with critical requirements. More than 70 percent of our machined components are made for customers from Germany, USA, Italy, Switherland, Japan, etc. Mainly european contries and north american countries. 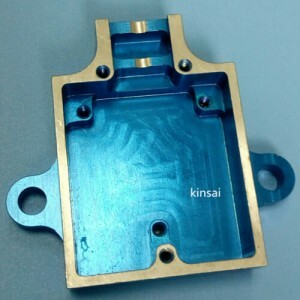 Kinsai is well experienced to offer quality cnc machining parts and precision cnc machining services for customers outside of China. More than 10 year advanced experience on subcontract precision machining services for foreign and Chinese companies. High quality products, Responsible attitude and hard work is our company culture that is well absorbed by every staff.